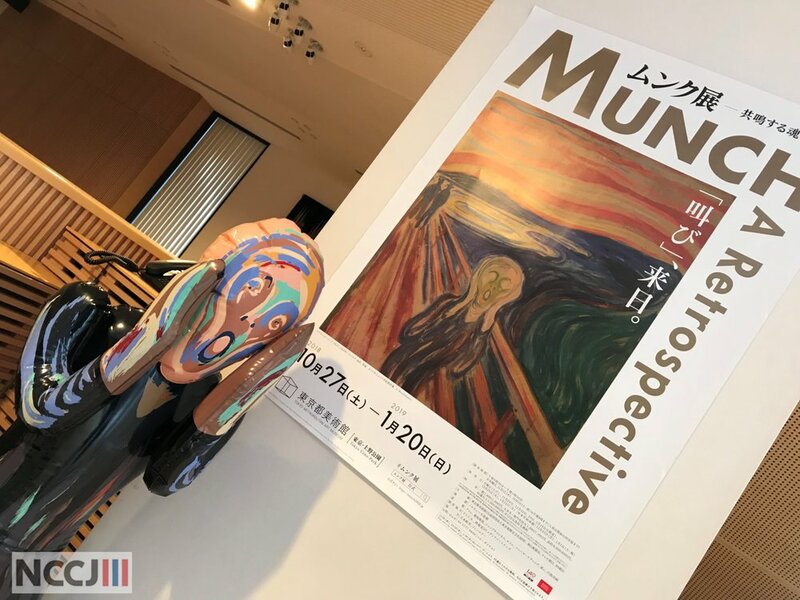 Last week marked the opening of the Munch Exhibition in Tokyo Metropolitan Museum, and we at NCCJ had a busy week with Munch-related events. One of the highlights of the week was a seminar hosted by VisitNorway at the Norwegian Embassy, and as one of our Corporate Members we were present to facilitate for the occasion. The purpose of the event was to position Oslo as a must visit city in Norway, with Munch and his works as the spokesperson for Oslo. While most Japanese tourists visit Oslo, they mostly end up staying only for one night. 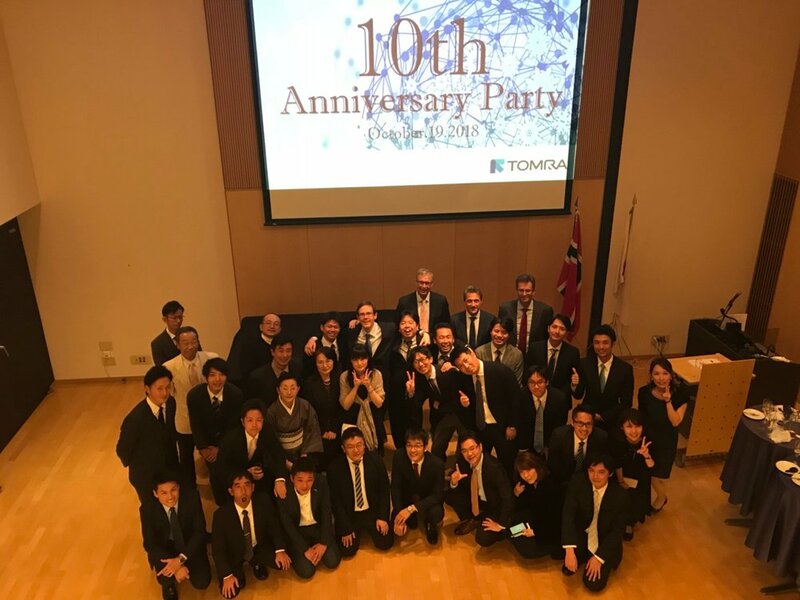 Through the seminar VisitNorway wanted to show the travel industry in Japan that more time should be spent in Oslo, as part of their strategic shift to include more about Norwegian culture (art, architecture, food, design) in addition to pushing Norway's natural endowments. 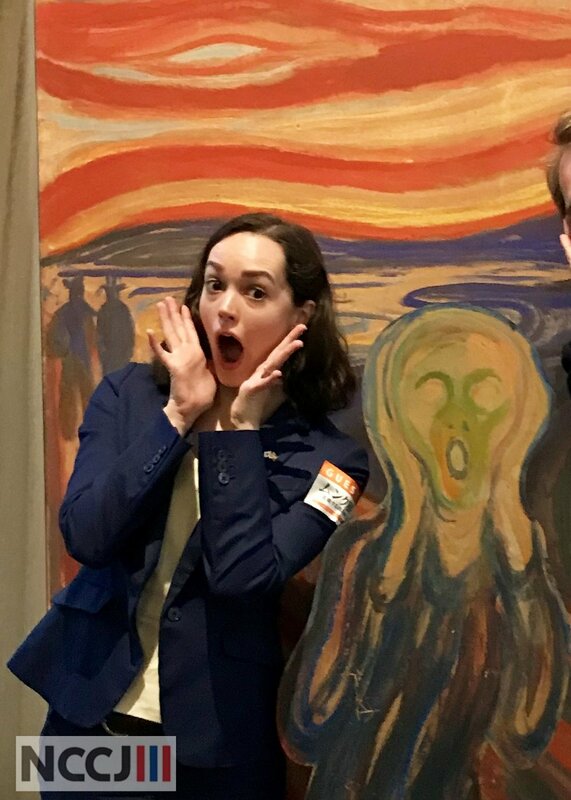 Munch is very much a part of this strategy, as not only the Munch Museum but also the area that provided backdrop for his famous painting “The Scream” can be visited while in Oslo. It is believed that Munch got his inspiration for “The Scream” just outside Oslo at Valhallveien road on the Ekeberg hill. From the left: Chief Operating Officer Alf-Christian Dybdahl, Ambassador Signe Brudeset, VP Director Sales Marketing and Services Tor Hartvig Bryne and President of Laerdal Medical Japan Svend Haakon Kristensen. Few Norwegian companies can claim more success on the Japanese market than Laerdal Medical. 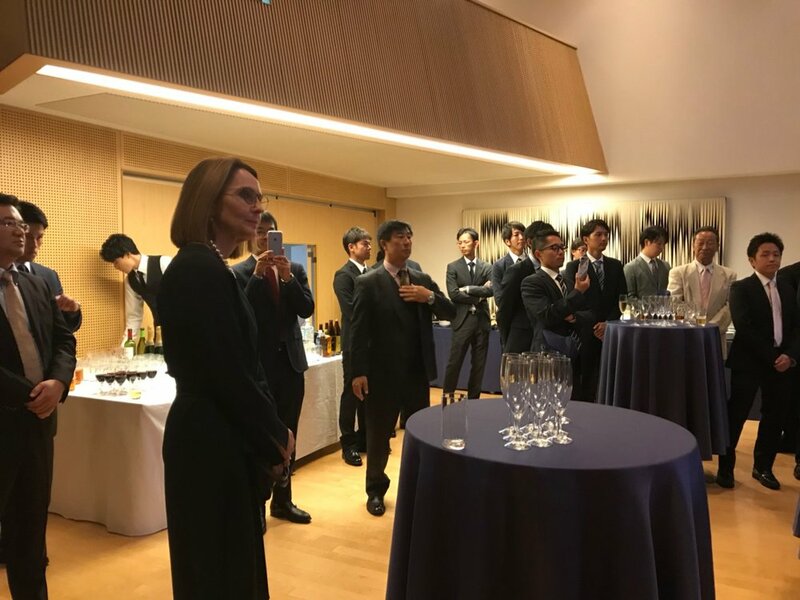 Representatives of the company and a handful of their clients came to celebrate the 20 Year Anniversary of Laerdal Medical Japan at the Norwegian Embassy on October 15th, under the facilitation of NCCJ. The event included everything from a seminar to CPR exercises, and even a live performance by Hardangerfele (a traditional Norwegian fiddle from Hardanger). 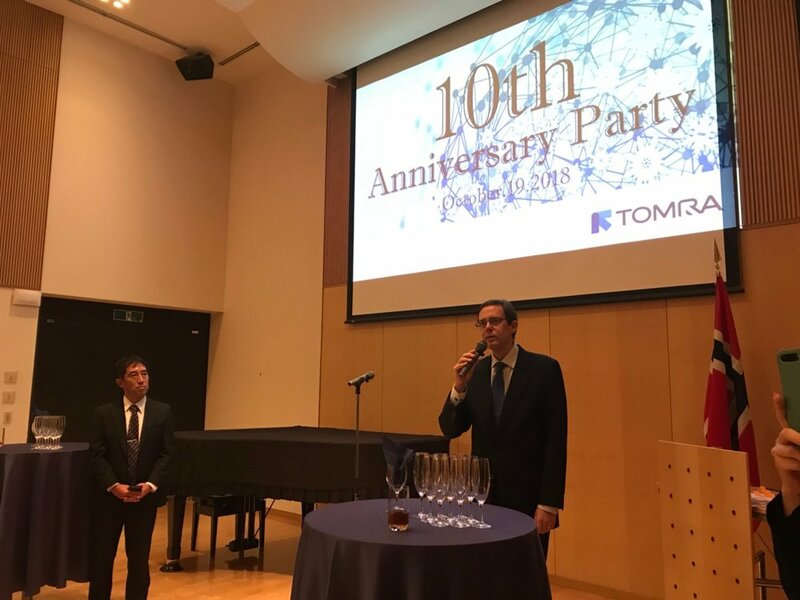 We at NCCJ are sincerely delighted to convey our warmest congratulations to Laerdal Medical Japan on their anniversary, and express our heartfelt wishes for success in the years to come.